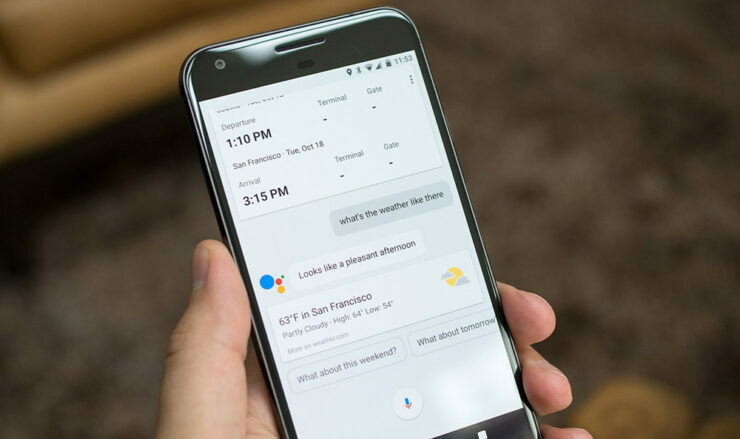 Ever since its release alongside the original Pixel, the Google Assistant has picked up a ton of features and today; it’s getting a few more including the integration of Google Assistant routines into the Android Clock app, the ability to put your device into Do Not Disturb mode via a smart speaker, and more. Let’s take a look at some of them. After a recent update, users have able to broadcast voice messages to Google Assistant speakers and displays to send off quick messages to family members ones. In the coming weeks, you’ll be able to reply to broadcasts from a smart speaker or display to a phone or another smart device in your home. Routines are now getting integrated into the Clock app. After you’ve made an alarm, you can add a custom routine that triggers various things when it goes off. For example, after you dismiss an alarm, you can have your phone volume turn up, hear the weather for the day, catch up on the news, etc. Soon, you’ll be able to say “Hey Google, silence my phone” to have all of your devices automatically set to Do Not Disturb. Smart Displays were advertised as a hands-free alternative for when you’re cooking. In the coming weeks, Recommend Recipes will show up in a new card right on your home screen. Recipes are recommended based on past meals you’ve cooked, and they’ll be displayed in a particular order based on the time of day and the current season. You’ll even be able to recipes that you like to My Cookbook, so you find them later.